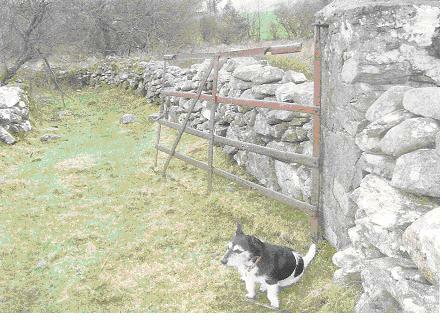 Ronnie could sniff out a well constructed gate... ! It’s become something of an obsession! It’s at least 12 years ago since I endeavored to do a project based on wrought iron gates around my locality, namely the townlands of Coolaney and Collooney in County Sligo. This was before the advent of affordable digital photography and super smart i-phones, so many of the images that I captured as data collection were in fact scanned photographs. This project is something that has been with me since, that is to say, I can’t go anywhere without the sideways glance of a gate….which has, I am sorry to say, become something of an obsession! In a way, it’s something to do with the form, style, shape and practicality of the workmanship, the fact that every gate is somehow individual and irrevocably linked to its site. Gates were made sturdy and after many years of being climbed over, pushed against and God knows what else they still, in many instances, remain steadfast, an enduring homage to the blacksmiths craft. 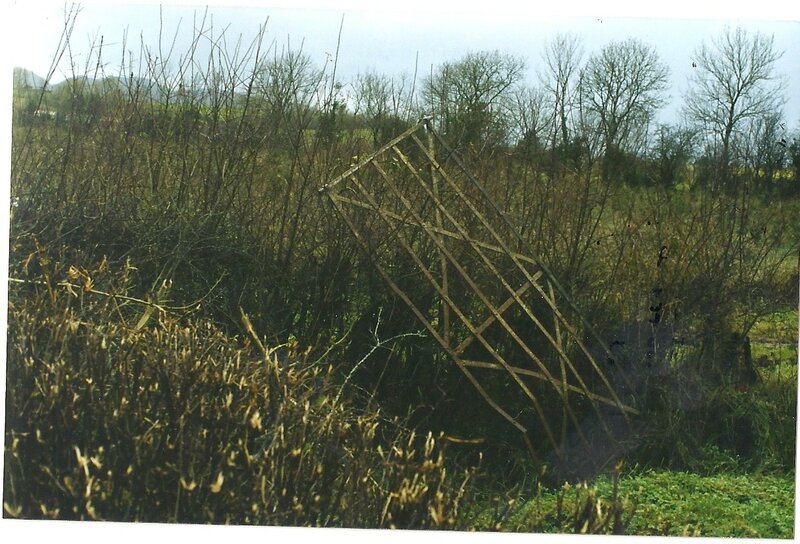 The project itself was a final year dissertation in part fulfillment of my Honours Degree in Heritage Studies and submitted to the Galway Mayo Institute of Technology (GMIT) in 2000. My long suffering and ever patient project supervisor was Mr. Paul Gosling. 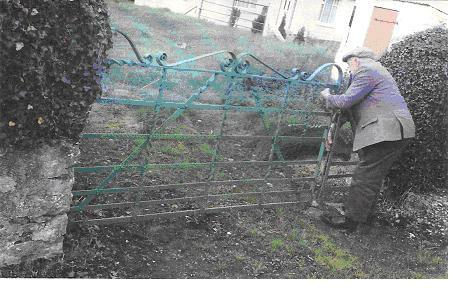 Although there was no existing work published on wrought iron gates of this nature before I undertook research on the subject matter, I am aware that project work on wrought iron gates continues to be a popular research choice for heritage studies students. As a local history project I found it really worthwhile because I personally recognize that many of the gates I surveyed back then are now missing or have been replaced. So it’s good to know, both from a personal and an historical aspect, that documentation exists on wrought iron gates in many localities around the country. Wrought iron gates are an important element of our architectural heritage of the rural Irish landscape and are disappearing at an alarming rate judging from both my own, and others, research in the field. In my view, the beauties of wrought iron gates are displayed in a variety of ways. They show the inherent creativity of blacksmiths, who combined their sense of the aesthetic with the practicalities and needs of the owner. 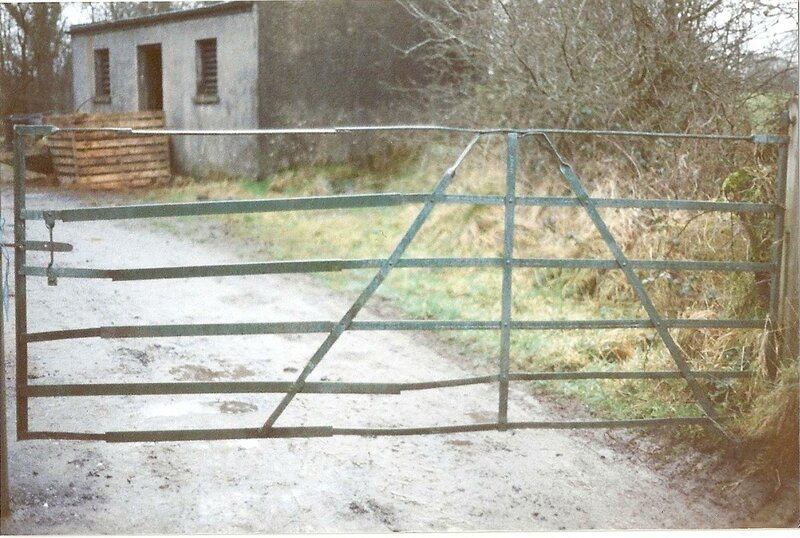 This combination of form and function can be understood in many different ways, from unusual latch mechanisms or the close construction of the bars of a gate which let no hen escape, or even how old cartwheels and scrap iron were recycled to create unusual and innovation gate designs. It is these unusual combinations of function and form that has always captured my attention, that is, that something which is essentially designed for function is gifted by the masters eye with the beauty of that artistic touch. 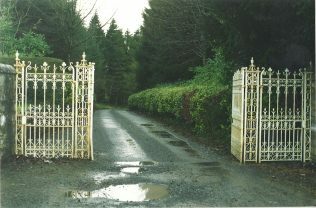 Coolaney had a vast array of gates, from typical farm gates, railway gates, church gates and entrance gates to more ornate estate gates. 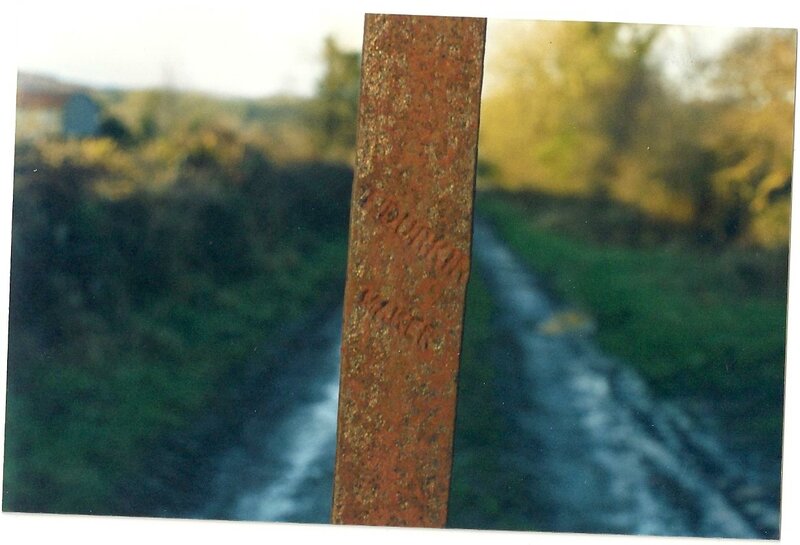 The majority of the gates I surveyed, were old style wrought iron gates made by local blacksmiths who left their mark in one form or another. I got to chat to many people around the locality on the survey. 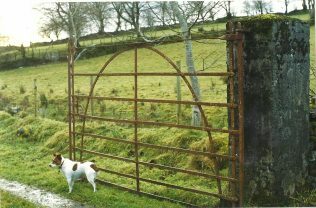 Nothing arouses the attention of an Irish farmer than an unfamiliar face traipsing fields and looking at gates, notebook in hand. This brought up a lot of local knowledge and when chatting to locals about the old wrought iron field gates many remarked on their resilience and longevity (where looked after) over the years. 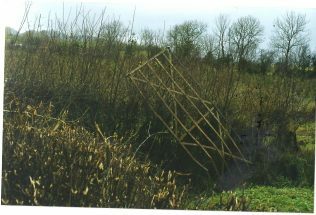 Others, however, complained of their bulkiness, and in addition, these gates quite often had to be expanded as farm technology developed with increasingly larger machines entering through smaller passageways. This increased their size, making them even heavier. 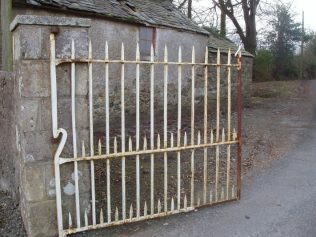 In a time where money was scarce, many people tended to weld extra extensions to their gates. This upset the symmetry of their original appearance and also their stability. 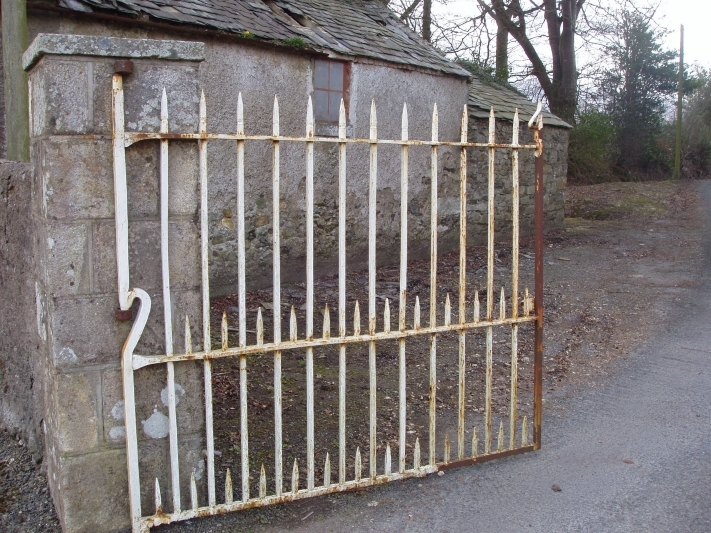 This has possibly led to the increased number of galvanized tubular gates that you see on the side of the roads and the number of the old wrought iron gates rusting in the ditch. Over the years I have had many and various people approach me in order to discuss the trials and beauties of wrought iron gates. Indeed many have been enthused enough to send me in their own collections of images. In this regard I would welcome anyone who has an interest in wrought iron gates to send in their photos to the Our Irish Heritage website ……In the meantime, here are some samples of gates that the museum has received from those who share in that wrought iron obsession! Loved your article .Ihave been making gates since 1980. Iam now retiring to consintrate on old forged entrances and I must say Iam looking forward to it,it is slow but the results are rewarding. Your article is very interesting. I did some blacksmithing in Sligo and there was a scrap yard next to us full of old cartwheels that were used to make a chair. 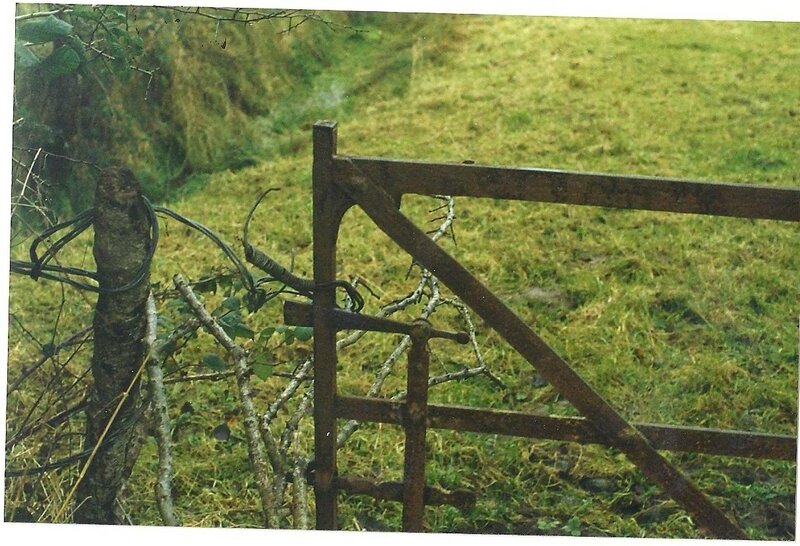 I am using old Irish gates as my inspiration for my college work. Some of your comments on form and how gates have been adapted are elements I never even thought about. Glad to see there are more gate fanatics out there! This article will definitely change my evening strolls, as I’ll be paying more close attention to the gates I pass by. I too will send along anything that looks interesting. Love the page on wrought iron gates. I have blithley walked past so many of these and not thought about their origin, the people who made them and the people who comissioned them. However then I heard from my mother I was related to Kavanaghs iron smiths who had a forge in Gorey and I have begun to pay more attention. 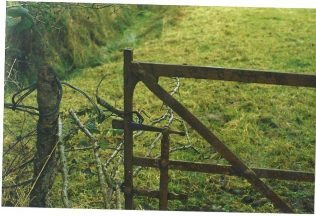 I will certainly take photos if I see gates and pass them on to the site.